> Medicinal Mushrooms>Chaga>Dried Chaga Mushrooms 8 oz. 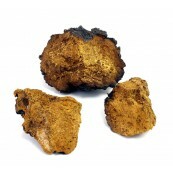 Dried Chaga Mushrooms 8 oz. 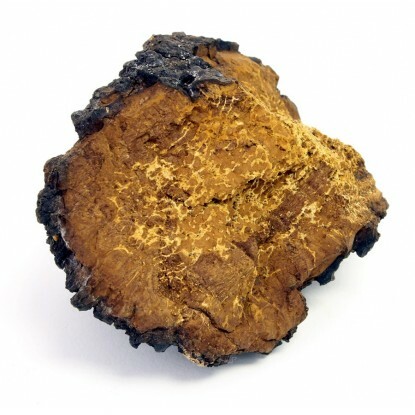 Chaga is the most powerful sought after mushroom on earth. It’s one of the highest, if not the highest, antioxidants in the world and it’s documented extensively for having numerous health benefits. 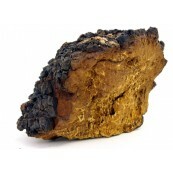 Rather than soft like a mushroom, chaga is hard, almost as hard as wood. It is unique, nothing like common mushrooms. In fact, chaga is the most nutritionally dense of all tree growths. Known by the Siberians as the “Gift from God” and the “Mushroom of Immortality,” this vibrant growth has been used by humans to support health for thousands of years. Chaga contains numerous B vitamins, flavonoids, phenols, minerals, and enzymes. It is also one of the world’s densest sources of pantothenic acid, and this vitamin is needed by the adrenal glands as well as digestive organs. It also contains riboflavin and niacin in significant amounts. Put a chunk of Chaga into a pot, fill the pot up with water, boil the water for as long as you like, and then let it cool a bit before pouring into a mug, enjoy plain or with your favorite sweetener. You can also boil it for about 2 hours, the longer the boil, the stronger the tea. Dried Chaga Powder 2 oz. Dried Chaga Powder 4 oz. 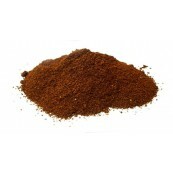 Dried Chaga Powder 8 oz. 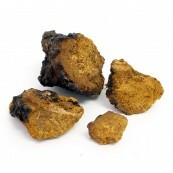 Dried Chaga Powder 1 Lb.